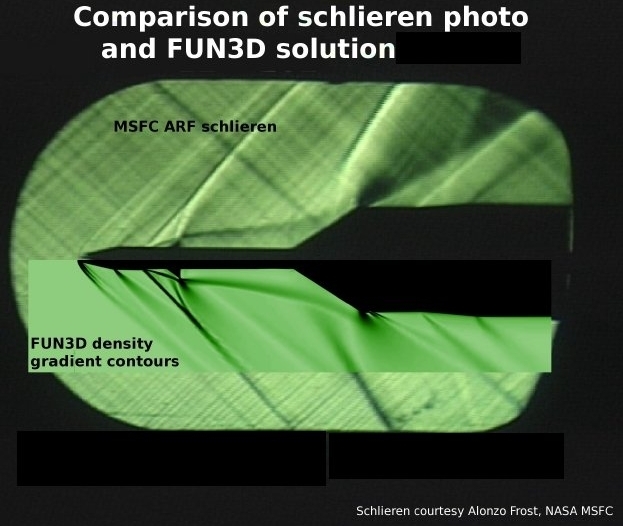 FUN3D has recently been used extensively in the analysis of NASA’s successor to the Space Shuttle, ARES I. 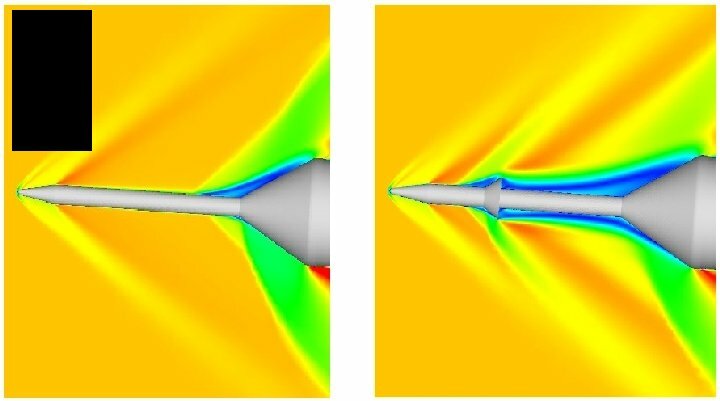 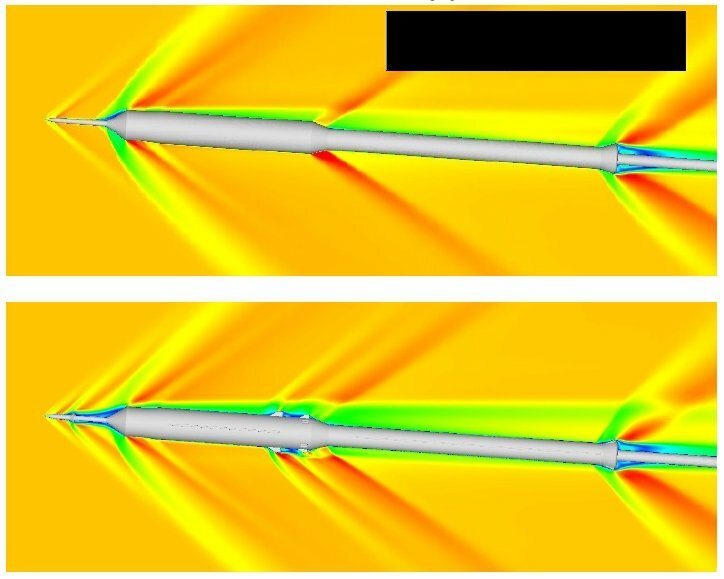 The RANS equations are solved coupled with either the Spalart-Allmaras or the Menter-SST turbulence models, and the geometry has ranged from very simple to including very small details on the vehicle. 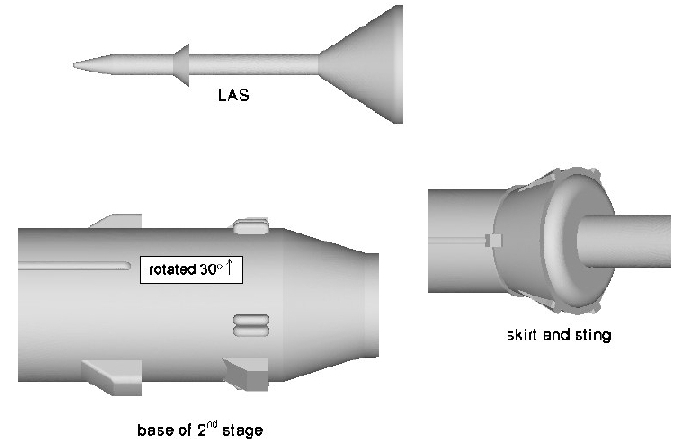 Effects such as flares on the Launch Abort System, etc have been investigated as shown below. 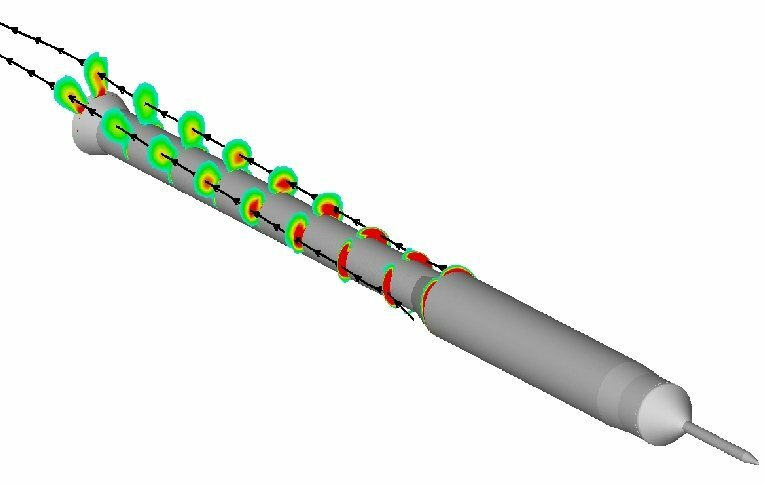 FUN3D’s discrete adjoint capability has also been used to provide gridding requirements as shown towards the bottom of the page. 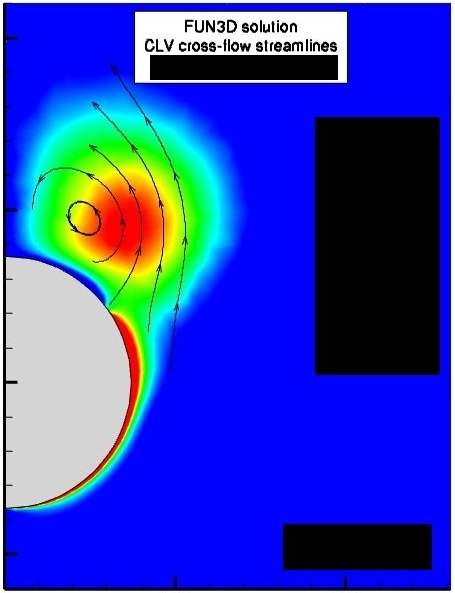 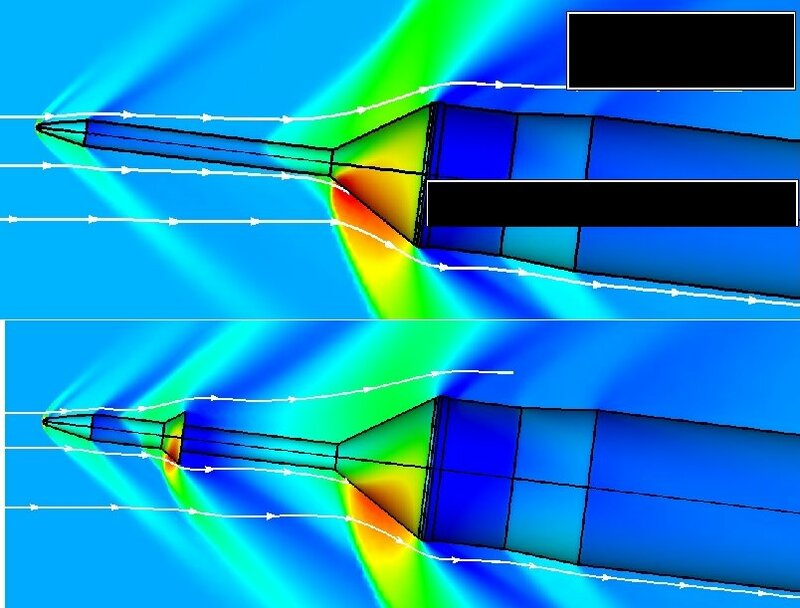 In these pictures, an objective function based on the drag on just the blue surface has been used to solve the discrete adjoint problem. 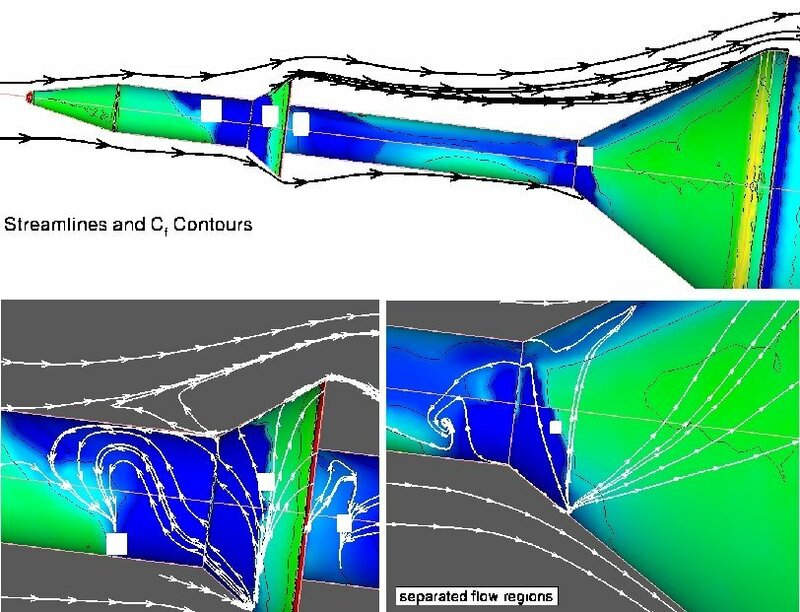 The color contours depict regions requiring further grid refinement in order to more accurately compute the drag on this surface. 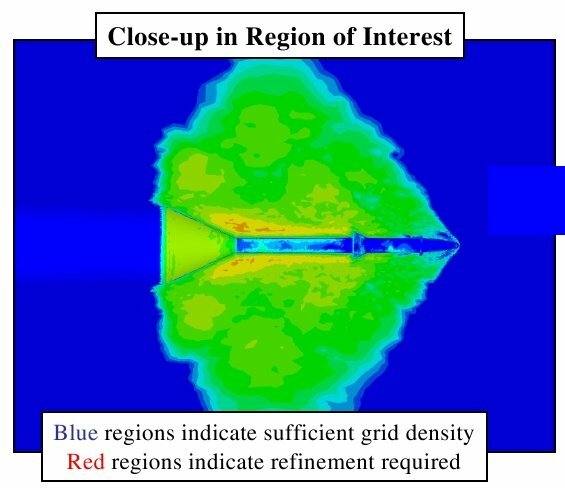 It can be seen that the surface grid on the upstream region of the vehicle is largely acceptable, while that of the targeted surface is in need of refinement. 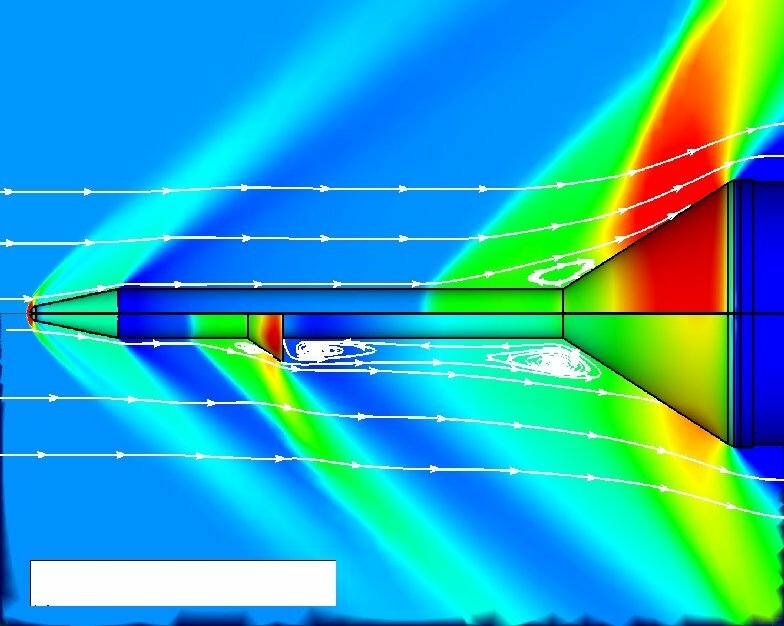 The shear layers leaving the LAS flare and impinging upon the targeted surface also require tighter grid spacing.